Vox Cantoris: You see St. Michael, I see St. James, let's call the whole thing off! 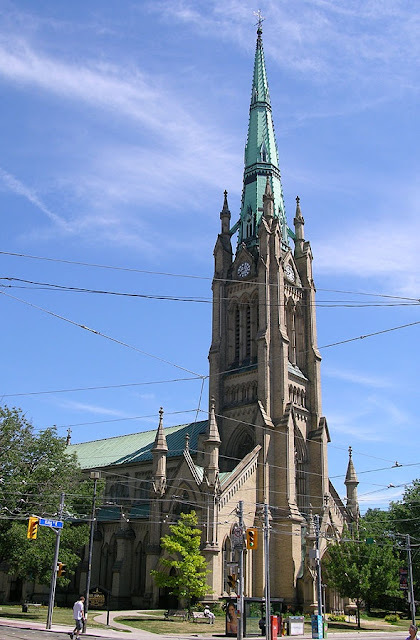 You see St. Michael, I see St. James, let's call the whole thing off! This is St. Michael's Cathedral in Toronto, the Seat of the Cardinal Archbishop of Toronto. 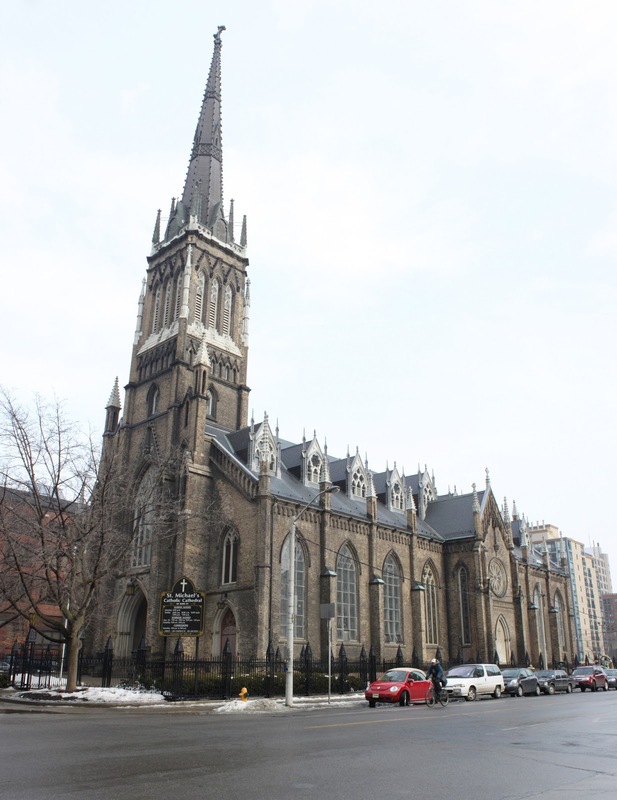 This is the Anglican Cathedral of St. James, the residing place of the Anglican Archlayman of Toronto. 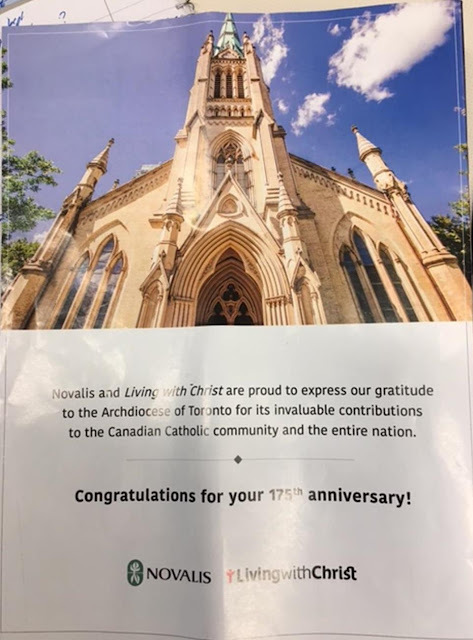 This is the congratulatory advertisement taken out by Novalis on the back page of Toronto's Catholic Register special edition celebrating the 175th anniversary of the Archdiocese of Toronto. Novalis always has been closer in spirit to the liberal Protestants at the "United Church" anyway. Ha! I thought there was something wrong with that picture when I looked at the average commemorative booklet. Well, maybe it will be worth some money by the 200th anniversary. I conferred with Dr Sigmund Freud, and he concurs with my diagnosis. They’re expressing their latent and unresolved Protestantism. Anon, you're assuming there will. E anyone left to celebrate a 200th anniversary. At the rate things are going, Toronto will be an ex partibus titular see by the 250th. The only question worth asking is who will be the last one to turn out the lights and close the doors. A real estate holding company and money laundering operation, in the image and likeness of Bay Street.